I achieved financial freedom at the age of 28 through passive income from my online businesses. Here is a bit of my story and how I achieved that. 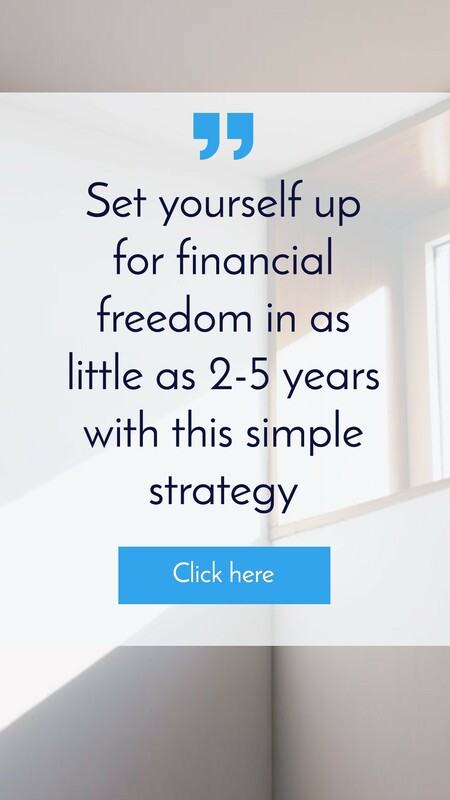 Some of you may know that at the age of 28, I achieve financial freedom through my online businesses, but not many of you would know exactly how I did that because I haven’t really talked about it. 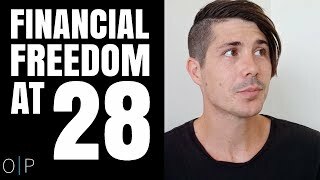 So in this episode I want to talk about how I achieved financial freedom at the age of 28 through passive online businesses. So I’m just going to kind of talk about my journey, how I got started in this sort of stuff. What I think is required to create an online passive income business and how you can go and start to learn about that in more detail. I can’t cram into one video exactly how to do what I did because it happened over about a 10 year period and that’s not going to fit into what a 20 minute video or however long this ends up being, but I can share my story and hopefully this inspires you to go out and look for ways that you can generate passive income either online or offline. I started getting into learning how to make money online when I was 18, so 10 years before I achieve financial freedom through making money online. That’s when I started learning about it, so it wasn’t something that happened overnight. There wasn’t some get rich quick scheme or anything like that. I was 18. It was my first year out of high school and I was reading a blog or had downloaded an ebook where someone had talked about going from scratch, so absolutely nothing and how they made $100 in 30 days and so they showed how they created a free blog and they started selling tee shirts and they created this income doing that and then reinvested the money to grow the business even further. And so as an 18 year old, this was extremely inspiring to see that you can go from literally nothing. So they took none of their own money to invest into this and then they started making money. So to think that at the time I didn’t have much money. How can I go from earning nothing to making money online? And so I did basically exactly what the book did, I tried to copy it, set up a free blog, tried to create some t shirts that I could sell and sold absolutely nothing, got hardly any visitors to my blog, if any at all. And then I started looking at, okay, well how can I get more visitors to my blog? I started stealing content from other people’s websites and putting it out on my blog because I wasn’t a very good writer at the time and I didn’t know what to write about. I started about 10 to 20 blogs at that time, all of which failed. But I learned a lot along the way and they didn’t cost me any money to set up. So once I started doing that, then I learned that you kind of need to have your own website and your own domain. So I started investing some money into that. It wasn’t a lot to get started for a domain, maybe $10 for a domain. Talking about five to $10 per month for hosting. Started getting into started blogging. I started blogging about all different sorts of things. Didn’t really have a clear focus on how I was going to make money. I did that for a couple of years and didn’t make very much at all, but I did make some money online and I knew that it was possible to do it. I found some strategies that worked better than others, so I would double down on those strategies and I would say growth, but it never really saw the income that I wanted to see come out of it. I also did a bunch of freelance writing at that time, so I was paid to write articles. I remember having to write 100 articles on Bluetooth headphones or like Bluetooth. What do they call, you know there’s earpieces that you’re talking to. So you’re on the phone and using a Bluetooth earpiece. This was about eight years ago or 10 years ago now, so back in 2008, 2009. This sort of time. But I remember having to write a 100 articles on Bluetooth headsets and that was just not a lot of fun and the pay wasn’t very good. So at the time I wasn’t making much money online, the money that I was making definitely wasn’t passive either. So I tried to do that full time while my wife Kelly at the time went to work, she dropped down to part time, so I’m trying to make money online while she’s only working part time so we don’t have much money coming in for ourselves. I think I was working in about one weekend a fortnight at a local pharmacy as well to get a bit of extra money coming in. But we were so poor that we had two cars at this point, so we had a Toyota Echo that my wife had gotten a 10 grand loan in order to purchase it for her job as a traveling merchandiser. And then we had my car, which we called the hammer. It wasn’t actually a hammer. It was this bomb of a car that I bought for $500 and then it cost $1,500 in repairs to get it actually going on the road. And my dad paid the $1,500 in repairs. Not even myself. And what happened, we had these two cars and reggio came up on the hammer which was about a thousand dollars or $800 or something like that and there was no feasible way that we could afford the Reggio on this car and our parents weren’t willing to pay for it. I don’t even think we asked them to pay for it to be honest because we just could not afford it. Even though this is a car that had somebody missing into it. It was a really good car. We just couldn’t afford the reggio to even register it and then try and sell it and maybe make a thousand dollars selling it. So we let the Reggio lapse. We then sold the car to the records for $100, but we’re at the point where we had no spare cash. In order to do that, rather than having a weekly budget, we had a measly measly daily budget of how much money we’re allowed to spend each day. Because that was the only feasible way to kind of wrap our heads around how money we had and how we could try and stretch that. But that didn’t really work. We often over when we often went over budget and it was just a really hard time. So around that period I kind of eventually got into work, so I was working more at the pharmacy. I then moved across into the compounding lab that the pharmacy had. So it was working four days a week when we had our first child. I then had a friend who worked for a pharmaceutical company and helped me get a job in there and then got a promotion through there, ended up working on the road as a pharmaceutical rep earning six figures when I was around 23, 24. So I remember being 23, 24 stressed out of my mind because I had a two point $5,000,000 budget or something like that or pharmaceuticals than I needed to sell. And I was working with business owners who had multimillion dollar pharmacies and trying to get them to sell more of our product, training them. But I really kind of learn a lot about business through that because I wasn’t one of those pharmaceutical reps that went to doctors. I was one that went to pharmacies. We sold generics and so we would help the pharmacies to sell more generics because they make more profit on the generic. So I did a lot of business consulting in that role as well as actually being a pharmaceutical rep. so that was really good experience for me to build up my confidence because I. I did lack confidence in trying to sell myself in trying to put my ideas across to the world. And when you’re in sales and you’re forced to be happy in front of clients every single day, you build up this confidence and you build up this hardness to you that you can go and you couldn’t do it. And when I’m talking with people who have multimillion dollar businesses and I know what I’m talking about and there’s some aspects of things that I knew more than they did and they’re taking advice from this 23 year old kid who looks like a child wearing a suit. But I knew what I was talking about and I could get that across to them that I was on this different level. So I’ve built a lot of confidence in that while I was working as a pharmaceutical rep, I did start this website which has now caught on property previously back then it was called cash flow investor, so when I used to work in the call center and I would catch the train to and from work. I had an original ipad at the time and as I would sit on the train I would write out articles about investing in property, which I was really interested in as well as how to find positive cashflow and things like that. So I started on property on the side when I was working in the call center. Kind of continued working on that as as a pharmaceutical Rep.
the problem that I had with that was that I was so drained from work. Work was so stressful and demanded so much of me. I had two small children. I had a wife with postnatal depression at the time. Life was just draining that there wasn’t much energy and there wasn’t much creativity left in me at the end of the day to write blog posts and to try and grow my passive income, but every now and then I’d get spurts of inspiration and I would create articles and try and grow my blog. 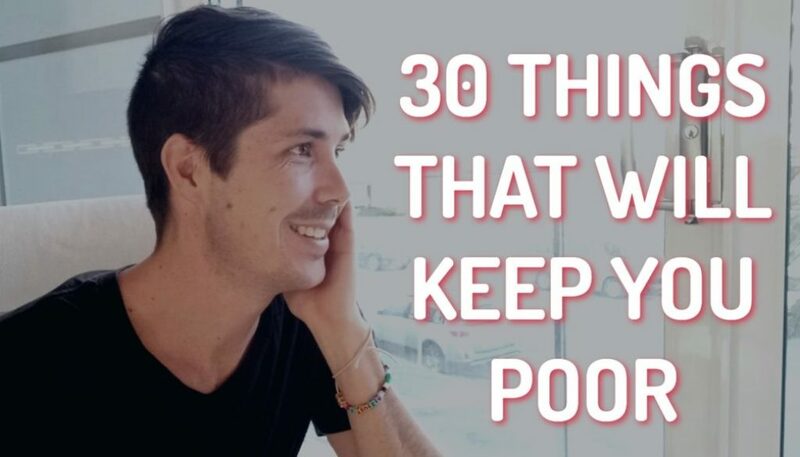 I remember I created 123 articles for on property before I ended up quitting my job and going full time. I remember that number because when I quit my job I wanted to double that as quickly as possible, so that was a big focus for me, but I also at the same time, use that opportunity to learn as much as I could about Internet marketing and making passive income online. So as a pharmaceutical rep, you’re driving around between multiple different pharmacies. I used to work in Newcastle. I used to also travel up to foster. I spent a lot of time in my car and so when I would spend that time in my car, I would listen to podcasts and I would try and educate myself on making money on the line. I learned about podcasting, how to start a podcast and I learned about how different people make money through niche websites, which are websites on a particular topic, so you would look for a topic in Google that there’s not a lot of websites really talking about this particular subject and so there’s not a lot of competition and so you would then create articles or you create content around this and you would then rank in google and you could then make money through advertising, putting adsense on, and if people click on your ads, you make money or you could make money through what’s called affiliate sales, which is you market other people’s products and if they go ahead and purchase them, then you make some money. So I thought, okay, I am going to give this a go. But I knew that I lacked the energy left at the end of the day to write articles. And so what I decided was that I found a way where I could get cheap transcriptions for audio. So I would record a podcast into my phone. So I think I had an iphone four or something. At the time, so I would just hold it up and I would record into my phone and article, so it might be five minutes, it might be 10 minutes long. In order to record that article. I would then pay to get that transcribed because at this point in time I was earning not heaps of money, but a good a good way, just like I was earning six figures, but I was paying off heaps of debt, but I had enough that I could spend a little bit on these transcriptions, so I will write these articles or I would talk it out. These articles. I would get them transcribed and then I would just go through as an editor and I would turn those transcriptions into a blog post. So the topic that I was working on at the time was one that was on public speaking, so I created a bunch of podcasts around public speaking, got them transcribed, got them put on the website, did a couple of videos as well, but I was really nervous to do videos at that point in time. So there’s not that many videos that I did. It was mainly audio just in podcast format because I was just too scared to get on camera and so I started that website. I built that up, that started to get some traffic and started to make a little bit of money cash flow investor, which is now called on property as well. Started getting some traffic as well and started making some money in advertising. I think before I quit my job in total online with the public speaking side with cashflow investor. I think I had two other sites as well, maybe three, so maybe five sites in total. We’re making around 500 to a thousand dollars per month in passive income and so that was the time where I thought, you know what? Two kids, a wife, we’re just paid off our debt. 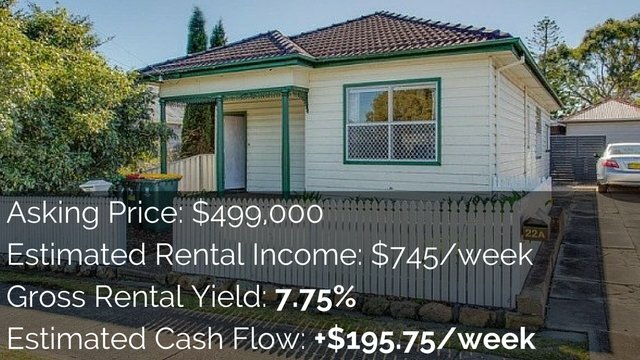 Hey, instead of saving for a house, let’s do something crazy and quit my job and let’s move to the gold coast from Newcastle and I’m going to work full time online and try and make this happen. And so we did just that. It’s crazy to think back at it. We went on a holiday for Kelly’s birthday and I had always wanted to live in Queensland. I love the lifestyle up here and so I’d always wanted to move back. Carol had never wanted to move that far away from family. We came up for her birthday, which is in winter and we’re on the Gold Coast staying at Chevron Towers. I don’t know if any of you guys have been there. Cool place to stay. I got great pools. The kids are swimming. We’re in our shorts and tee shirts in the middle of winter and Carol says to me, she’s like, okay, I’m ready to move. Let’s do this, but you’ve got to quit. You’ve got to find another job before we move up here. So I’m like, okay, yeah, definitely. Um, let’s do this. And so when we went back, I started looking for other jobs. There was another property business that was looking for someone to do marketing. I was pretty much a shoe in for that job that was in Brisbane and I was pretty sure that I was going to get that job, but I really had this in my heart that I wanted to give online and my own business, another crack, and so I decided to pass on that job in Brisbane and to go full time online. I remember calling up Kelly crying on the phone saying, I can’t do this anymore. I can’t work as a rep anymore. I want to give this online and try. And so we decided to. We didn’t have much in savings, but we had enough to get us up to Queensland. I got on what’s called the Nice program, which is the new enterprise incentive scheme, so it’s a scheme to get people off centrelink. So I quit my job. I went into centrelink. I ended up getting on centerlink. I found someone who was really nice and who was able to get me on center link straight away rather than. There was this extremely long wait period that I may have had to wait for, which basically would have eaten all our savings and I would have had to go back to work. So I found someone who got me on Centerlink, walked out of the center link building and got on this nice program straight away, had to do some study for it and then they provide you with mentorship and a bit of support. So I started this program. It was a little bit of support, a little bit of money coming in. I was making that like 500 to a thousand dollars per month through my online business, but little did I realize I’m. It just wasn’t smart enough as a business person at this time that there was actually a lot of online expenses as well. So even though I was making 500 to a thousand dollars per month, I probably had 500 to a thousand dollars per month in expenses at that point in time. So I was breaking even or I was losing money and so I was basically making nothing except what nice was giving me. So Kelly ended up going back to work and working at freedom, working in sales in a job that she definitely didn’t like so that I could push you this online thing. We struggled for probably another year before we started to make enough money that we could see the light at the end of the tunnel, so about three years to get to the point where I was earning the same amount, if not more than when I was a pharmaceutical rep.
so three years of full time working online, plus the seven or eight years doing it part time prior to get to the point where I was earning a full time income. And while this doesn’t seem like a passive income journey, it really was because there were so many points in time throughout this journey that there was opportunities to make earned income. So people wanted me to work for their business as marketers. People wanted me to do client work and build websites for them. People wanted me to work as a freelancer or there was opportunities to do affiliate sort of stuff where I could sell products for people or I could sell leads to people, but I could just see that this was going to be something that I’d have to continually work to do and there were so many really great income opportunities and we really needed the money back then that I said no to because my goal was always to build up a passive income and I want to do another video about this, about how you can earn passive income online and I’ll go into more detail on that in that video, but basically I wanted to have a passive way of making money, so passive products or recommending other people’s products because then you don’t have to do any customer service or delivery or anything like that and then passive marketing. So all of my marketing wasn’t focused on how can I get the most people now. It was focused on how can I do work now and that is then going to work for me in the future and so that’s why I fought on property. I’m up to episode 570 580 or something like that because I created a lot of videos, a lot of podcasts, a lot of articles that I knew that if I would create content and put it up online, that this content would help people for years to come. 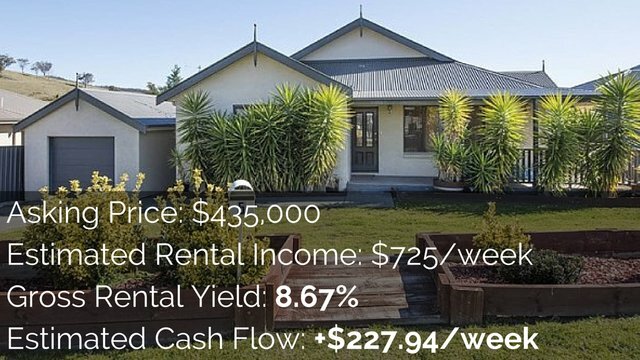 So if you search certain phrases or have you asked good questions about investing in property, you’re finding positive cashflow property. Depending on the question that you asked, you may find an article or a video or a podcast that I made years ago that will still help you today. So I created a lot of content knowing that this is going to be out for years, going to be working for me for years, and so that takes time to build up. You can’t create 580 episodes in a day. It takes years to build that up. So the entire time I was focusing on doing work that would then continue to work for me. So it takes work to write an article, but once you publish it and it’s out there, that article can live online for a year, two years, five years, 10 years, and if it’s written correctly, it can continue to help people that entire time and when people visit your website, you can make money in advertising or you can make money in affiliate sales by recommending other people’s products. 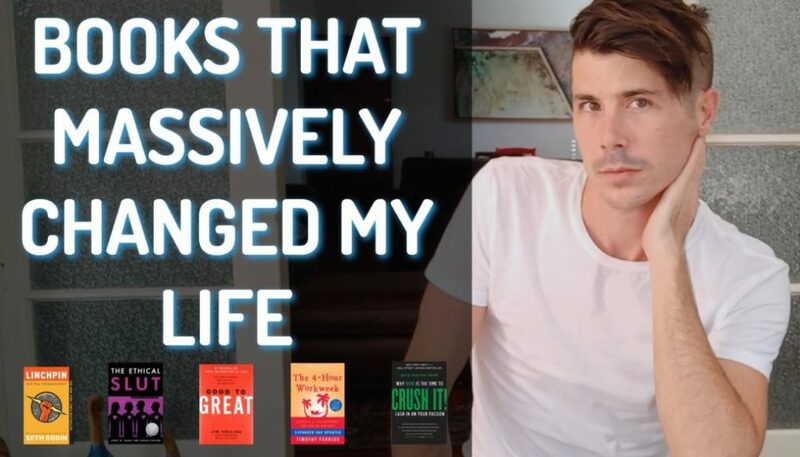 So that three years where it took me from basically earning nothing to replacing my salary, I was focusing on that passive strategy of creating content that’s going to live online and help people for years to come. There was lots of things that I did in that time that didn’t work. There was one thing I discovered my son had night terrors, which if you don’t know what they are, you’re very lucky, but basically night terrors is when your body wakes up but your mind doesn’t. And so my child would wake up having tantrums in the night but not actually be conscious. And so we’re talking extreme, extreme screaming and tantrums. But I found out that there was a product that would actually stop the night terrors. It’s a that vibrates under the bed. So I spent about a month working on a website where I did content around night terrors to recommend this product to other parents who have children’s struggling with this and that went on to make nothing, zero money. I remember if I on property, I created this product called Lisa Lea, s e r, so it was a self leasing kit. So if you want to lease your property then I had all the details of how to do that. I spend about one to two months on that product. That product made maybe 50 to $100 and I spent two months on it. So there was a lot of things that I did that made no money or made very little money. But then there was some things that I did that made more money. So I’ve got certain articles that rank really well. I’ve got certain websites on certain topics that rank really well and make good money in advertising or good money in affiliate sales. I didn’t just focus on on property though. That was one of my bigger websites. I focused on lots of different niche websites. Some would work, some wouldn’t. The one that I had on public speaking still exists today and still makes me a little bit of money. I’m extremely embarrassed by the content that’s on there, but it still makes me a little bit of money and that’s one that I created when I was working in my job, so basically over the years I continued working on multiple different websites, building up these passive income streams where I create content that would rank in Google and people would continually come to my site each and every month. Whether I created a new content or not. So the age of 28, I realized I was at the point now where if I stopped working there will be enough coming in to pay for our life and so what I did at 28 was I basically stopped working. I didn’t throw in the towel, but I didn’t really do much work. We renovated a van, converted that into a camper, did some traveling, and that moved up to Noosa. I focused on gaming and trying to become really good at a game that I love. Um, I went running, I did surfing, I spent more time with my family. Um, I explored all these different sorts of things over the last couple of years without working very much. So passive income and financial freedom really means that you don’t have to work at all. I can see that if you own enough properties and you’ve got property managers that you hardly have to do anything. I was at the point where I would still have to work a couple of hours per week in order to earn that money. So it wasn’t completely passive. I still had to do a bit of work, but it was an extremely small amount of work just to manage the business and to keep things running. So I did that for a couple of years and then me and my wife recently split. And so our expenses have gone up. Income from one of the businesses has dipped as well. So now I’m back in the game and now working again to grow my passive income and again, instead of focusing on how can I quickly make money, right now, I’m focusing on what sort of things can I do that are going to generate me passive income for the longterm. So what sort of content can I create? What sort of niches can I work in? What sort of stuff can I focus on where I’ll do work now? So I’m working hard now, but this will continue to pay off for years to come. So rather than just looking at, okay, how can I quickly make some money and thinking about what work can I do that in six months, in a year, in two years, in three years, we’ll then start making me passive income. And so that’s my focus. That’s always been my focus is how can I work hard now and make passive income later? And so that’s kind of my journey, how I got to where I am now. I’m excited to be where I am now. I’m excited to take my business to the next level. I did all of this without really having employees. I had a virtual assistant who was amazing and who would do a lot of the back end administration stuff for me, but a lot of the work was done by myself without employees are now looking at how to expand the business and grow it faster by hiring people to create content for me to do editing for me and stuff like that. So I’m now looking at those growth opportunities to really build out a bigger base so I can then go ahead and invest in something more stable life property and so that I can have financial freedom through my business, but then I can also have a secondary you financial freedom through my investments which will actually be property shares and cryptocurrency and so I’m building out the business again, but again still focusing on that passive income. I then want to expand that and extra money from that will then go to invest into other aspects like property, like shares, like crypto to them, build up that second source of passive income so then have multiple streams of passive income. If the businesses die, I’ll still be okay and still be financially free. That’s the goal, how it pans out. We’ll have to see, but I’m really excited for the future and I hope that this has kind of explained to you guys how I achieved financial freedom at 28 because I think if I went down the path of trying to achieve financial freedom through property or the age of 28, I just lacked that energy and lacked that creative drive when I was working full time to be able to focus fully on property and saving for the property and then investing in property and trying to do that. I think it definitely would have been possible, but it probably would have taken me more years than it did working online and creating my own online business and my own online income. In no way was it easy. It was extremely difficult. I had to say no to so many opportunities. I had to live without income and then people are trying to give me money when I had no money and two children that I needed to pay for and they’re offering me these amazing opportunities to make money. I had to be strong enough to say no to that because I saw my future and I wanted it to be passive income and so people say, Oh, you have it easy, you have a great business model, but those same people took the easy money when it was there until the income right now and chose to focus on that rather than focusing on how can I create a passive income and so it was very difficult thing to do. Me and my wife fought a lot around money in the early days. It was, it was a hard, hard journey and sure now I have the skills that I need to grow and expand my passive income business, but that only came through the trials and the tribulations and the hard times. So in no way do I think making money online is easy. In no way do I think it’s a get rich quick scheme, but I do love the opportunities that it’s afforded me. I do know a lot more now about how to generate income online quicker, how to add more value to the world. 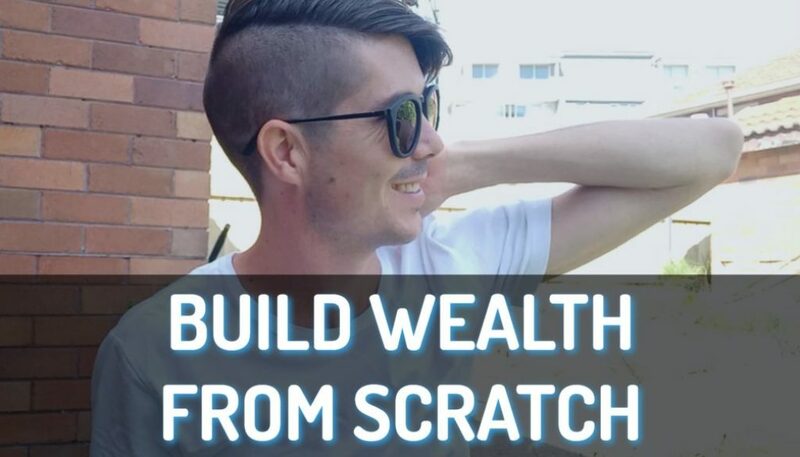 I’m excited to do that and yeah, if you guys want to hear more about this, let me know in the comments section down below if you have any questions about making money online or generating passive income from scratch, all of that sort of stuff. I want to hear your questions, so please leave them in the comment section down below. Don’t forget to subscribe to the channel. Has got new videos coming out every single week, three times a week at the moment and volley here. Go ahead and check out one of my other videos on creating financial freedom for yourself. I really want you to go out and start creating passive income streams in your life. Thanks so much for watching. Until next time, stay positive.